In 2017, RTO12 completed an extensive Product Development Framework Report that included significant Environics research into differentiated Key Tourism Activities (KTAs) that will motivate travellers from four key Designated Marketing Areas (DMAs) in the United States to visit this region. As per the recommendations in the Product Development Framework Report and the organization’s subsequent 5-Year Regional Tourism Strategy, RTO12 now seeks to promote these KTAs to audiences in the DMAs: Boston, Chicago, Washington and New York City. Specifically, RTO12 seeks a Consultant to conduct social content marketing and lead nurturing programs that align with the organization’s current initiatives in these areas. For the purposes of this RFP, please consider the total budget to be $100K CDN* when creating your submission. The RFP will be posted online and potential bidders will be e-mailed a copy of the RFP. 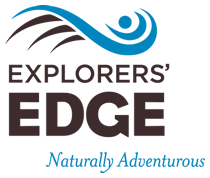 Upon receiving the document and reading its content, potential bidders are requested to send an email to james@explorersedge.ca to acknowledge their intent to provide information about their proposal. This step will guarantee that the bidder name is entered in the bidder list. The bidders prepare their formal response and send their document in an electronic format to Explorers’ Edge by the specified RFP close date. This work described in this RFP is to be completed by July 2, 2018. The purpose of this project is to market the Explorers’ Edge region and specific KTAs to four DMAs in the United States (Boston, Chicago, New York City and Washington). The Consultant will create a social, content strategy to launch new content into these areas, and the expected result is significant visitation to the www.thegreatcanadianwilderness.com site, and in increase in leads for nurturing into the RTO’s international database. Phase One: Significant consultation with RTO12 / Explorers’ Edge staff to ensure objectives and executional approach are understood and agreed to by both parties. Phase Two: Development of the paid social strategy including measurable objectives, market reach/CTR/leads forecasts, recommended platforms, and target audience identified. Inventory of current content editorial pertaining to the KTAs that can be re-issued for the international content marketing program via www.thegreatcanadianwilderness.com. Working with EE’s Senior Director of Strategy & Communications, identify new editorial ideas per the KTAs for development to successfully hook targeted audiences. Creation of new or necessary content (to live on www.thegreatcanadianwilderness.com). Phase Three: Paid social content marketing deployed into DMAs via www.thegreatcanadianwilderness.com and chosen platforms. Consultant will do media buys and provide oversight of the spend, and make recommendations for adjustments once the program is underway. Phase Four: Final Report – a summary of the overall project implementation, results, and further recommendations. Phase 2 Strategy Document & Completed Content: MSWord and PDF electronic versions of the report in English. Content presented fully developed (to live on the RTO’s international site). Phase 3 Report Required: MSWord and PDF electronic versions of the report in English. Phase 4 Final Report: MSWord and PDF electronic versions of the report in English. Required: All reports must be provided in print, in English as well as one PDF and one Word version. In addition, electronic versions of supporting documents will be provided when available. Your proposal will form an integral part of the contract and will be considered the Scope of Work for the Initial Term, so please be thorough. Note: Proponents shall identify, within their submission, all excluded items. Assumptions: The entire project will be fully completed no later than July 2, 2019. Financial points will only be awarded to submissions that have achieved a minimum score of 60 out of 80 points on the technical evaluation criteria. Proposals that do not meet this minimum score will be deemed non-compliant and will be given no further consideration. This entry was posted in Current RFPs, RFSs & EOI by james. Bookmark the permalink.